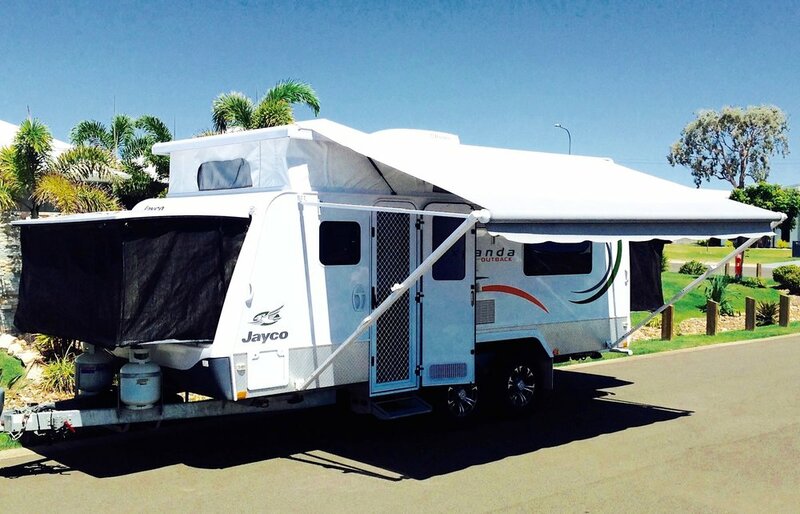 Sleeps 6 Shower/Toilet (Requires 2250kg tow rated vehicle) For 7 Days & over from $119 per day - 4 days min $520. The Expanda Outback is the all rounder van for the more adventurous family, sleeping up to six with a queen bed, double bed and bunks (top bunk 60kg limit). It has all of the standard conveniences including air-conditioning, large fridge and microwave with gas cooker, shower/toilet, TV/DVD and Radio/CD stereo. It also has that extra room to move with the beds folding out of the van giving a feeling of space. For that extra power boost when free camping the Expanda Outback has a solar panel fitted.The van is also ideal for two couples wanting to holiday together or for the larger family. The van is very easy to tow and being more compact when folded up is easier to maneuver and park in tight spots.